Whether you are a group of Las Vegas locals looking for a quick and easy group trip or a family of vacationers looking for time away from the big city lights, let Windstar Lines provide your bus from Las Vegas to Hoover Dam. Even though Hoover Dam is just a half hour outside of Las Vegas, that doesn’t mean you shouldn’t ride comfortably. Our fleet can accommodate groups of all sizes and budgets, but no matter which charter bus you choose, we guarantee you will be pleased. Our drivers are experts not only in operating our buses and motorcoaches, but also in making sure your trip is entertaining. They enjoy interactions with groups and are ready to provide helpful information about local surroundings. Even more than that, though, our drivers will keep your group safe. They are all trained and licensed according to state and federal laws, and are dedicated to your safety. The Hoover Dam is an engineering phenomenon that should not be missed, and what better way to experience it than in a comfortable luxury motorcoach? Let Windstar Lines help your group not only plan a trip from Las Vegas to Hoover Dam, but also get you there in style as well. No matter what you choose to do once you get there, Windstar Lines will make sure you arrive comfortably. Why A Bus Trip To Hoover Dam From Las Vegas? Since Hoover Dam is so close to Las Vegas, you may be considering just providing your own transportation. Sure, that is a viable option, but why try to arrange carpooling for a large group when you can all just travel together affordably? That, along with list below, are all great reason to take a bus trip to Hoover Dam from Las Vegas. If your group is ready to book your bus from Vegas to Hoover Dam, contact us today. One of our representatives will help you choose the perfect bus rental, the ideal amenities, and even help with your itinerary, if you would like. 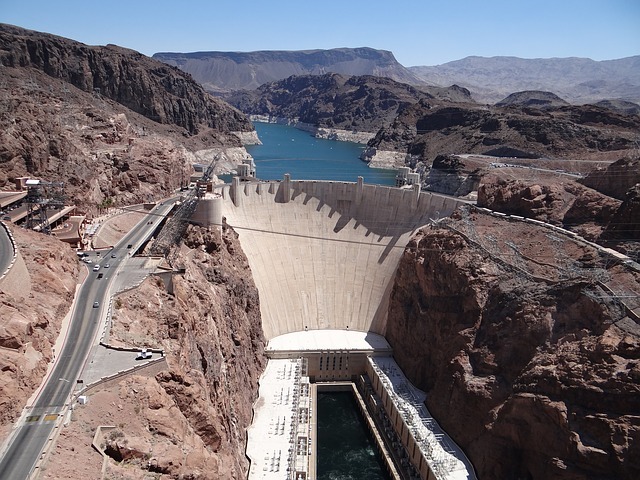 We are here to make sure your Hoover Dam trip is one to remember.